PLEASE STOP ASKING FOR A 4WD VERSION. It's not going to happen. 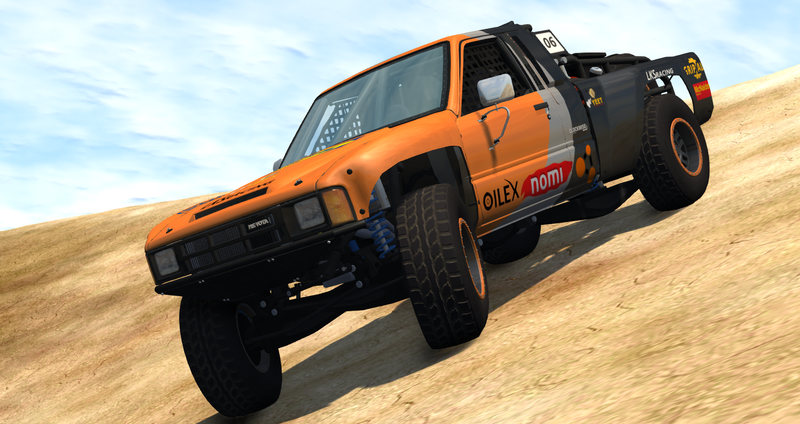 The truck was designed from the start to be RWD, as most real life prerunners are. To correctly convert it to 4WD would require significant reworking of the chassis and front suspension, which I nor James are willing to do. 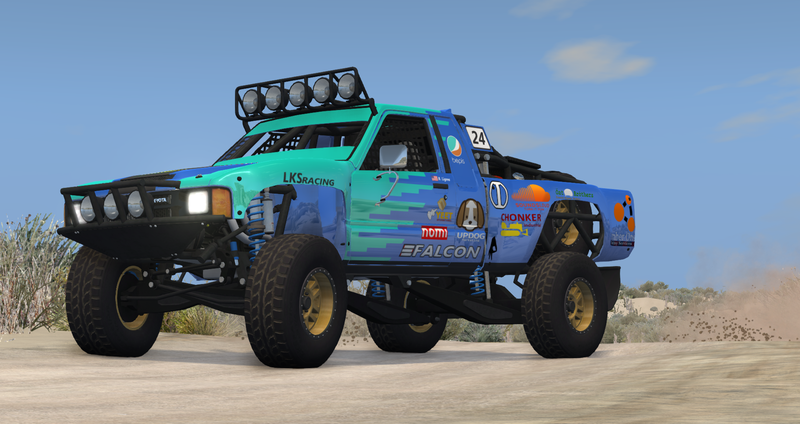 The LKS Prerunner is a high performance off-road truck, the purpose of which is originally to run a course ahead of the actual race truck as a scout for the race team. It has evolved into it's own brand of recreational and race vehicle with capabilities matching it's trophy truck cousins. Please refrain from re-uploading the entire mod, but feel free to release mods for this so long as you release only what you modify/create. We also ask that you do not make "lazy" mods, like adding 4WD without correctly modifying the mesh and jbeam to support this, or adding a million superchargers to the engine. 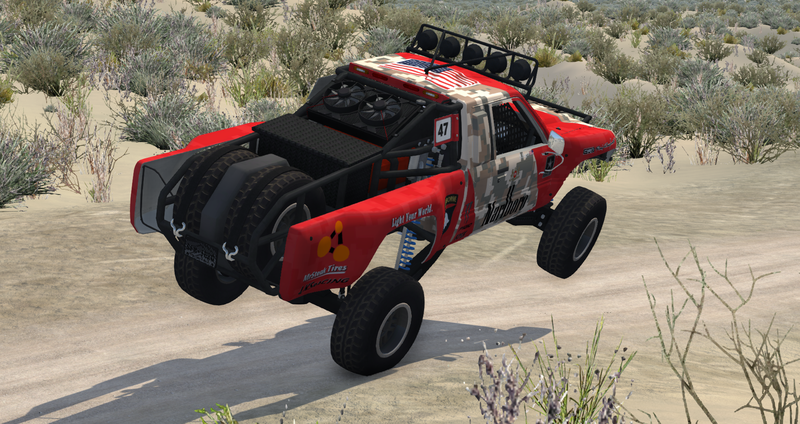 The offroad monster that BeamNG always needed. Fantastic work and very fun to drive with a wheel set-up. Wow, everything is textured, everything has animation, groundbreaking, this is so far the most fun, non vanilla car, this could be official! The type of car I wished for, but even better. Outstanding work. Drives like I imagined. Thank you! 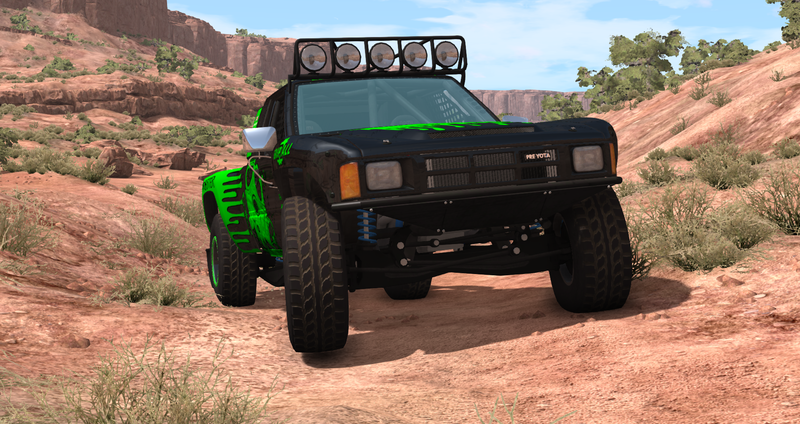 Would it be possible to let the suspension struts collide with the terrain? As much as I like the mod, its Imo, near impossible to drive. Its a exellent offroader and goes over hills and bumps no problem but as soon as you hit the gas its constant struggling to keep it in a straight line even if I feather the throttle. I havent even been able to do a top speed run because how hard it is to correct it. I like the style of the mod, But honestly it feels weird Driving on a desert map and not being able to go 100+ because im constantly correcting it. 100% would like AWD! its to difficult to control on any terrain if you don't have the setup. Awesome mod, super detailed I can watch the suspension move up and down all day. Two things I would suggest a manual transmission for one and and less powerfully engine or more customization for the current one. every thing is amazing and instead of asking for a 4wd version can you make a new body style like BJ Baldwins truck?